Are you worried because you have bed bugs? Don’t be, because we have you covered! 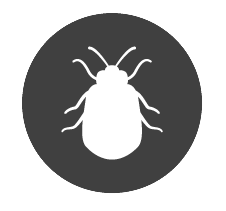 We offer cost-effective solutions to eliminate bed bugs from your home or office quickly and successfully. We guarantee that you’ll be satisfied with the results, and we have affordable options for every type of budget. While the country had the bedbug epidemic mostly under control for many years, since 2004, it’s come back to cities across the United States with a vengeance. If you suspect you have bedbugs in your home already, or if you just want to know what to look for when it comes to the signs of a potential infestation, you’ve come to the right place. In this post, we’ll tell you everything you need to know about bedbugs, from the steps you can take to prevent them to understanding what to expect when you hire professional pest control services to get rid of them. Don’t spend another night being kept awake by itchy and uncomfortable bites from unwanted guests. Instead, read on to learn more about how you can take control of the situation. First, let’s discuss some of the most common signs that you’re likely dealing with bedbugs. Of course, the best way to determine if you have an infestation is to inspect your skin for bites. These photos help you to clearly see what bedbugs look like. They are usually red in color, are slightly-raised welts, and come in either lines or clusters. Interestingly, unlike other insect bites, in many cases, bedbug bites will appear in straight lines. The bites most often appear on your shoulders and arms, and usually crop up in the middle of the night while you’re sleeping. Usually, you’ll also experience constant itching, which can result in bleeding and potentially even scarring. Some people may also deal with a more severe allergic reaction to bedbugs, which, in rare cases, can result in hives and blisters. Especially if you’ve experienced a dramatic allergic reaction, it’s important to seek medical attention. However, bedbug bites are far from the only sign that you’re dealing with bedbugs. Also, inspect your bedding and other furniture in your home. If you notice rust-colored stains, they’re likely leftover from the bedbugs’ snacking. Especially look on the corners of your bed for these tiny stains. In some cases, you may even be able to spot shredded skin, usually brown in color, on bedding or furniture. Bedbugs also have a distinct smell, usually caused by a release of pheromones from the pests. Many people describe it as musty, like a wet rag. The good news is that, unlike lots of other household pests, bedbugs do not pose an immediate threat to your health by transmitting dangerous and potentially deadly diseases. However, that doesn’t always mean they don’t carry them. We don’t yet know the potential serious health risks of bedbugs, but they’re rare. In truth, the main danger is the discomfort of the bites themselves, as well as the risk of infection if bites are scratched too intensely. You may need up to one to two weeks to heal completely from bedbug bite. You can use anti-itch creams and other medications to help you to keep the itching under control. You may even want to wear gloves at night to stop you from scratching your bedbug bites in your sleep. We understand that it can sometimes be tough to properly identify bedbugs. Let’s quickly go over what you should look for when trying to determine if what you’re dealing with is in fact bedbugs. Usually, the bedbug will be reddish-brown in color. It will be about the size of a pumpkin seed, be round in shape, and will have a fairly flat body. If they’ve recently eaten, they may be slightly swollen. They look a bit like miniscule beetles, and have tiny antennae on the front of their heads. Because they like to hide, you should look in the zippers, seams, and even mattress tags to spot them. Sometimes, the reason you end up with a bedbug infestation on your hands is just because of bad luck. You can’t avoid taking the train, shopping at your favorite stores, or traveling. In many cases, a bedbug problem is a case of being in the wrong place at the wrong time. That being said there are a few things you can do to prevent bedbugs from damaging your belongings. First of all, there are several bedbug maps and reports of recent locations of infestations. If you’re near to any of these locations, make sure you inspect your bedding, clothing, and your skin for signs of bedbugs. When you check into a hotel, make sure you quickly check out the room before you unpack your luggage. You may even want to bring a plastic bag to cover your suitcase in the hotel room if you’re going to a city that’s known for a high level of infestations. Check the closets, the edge of the mattress, and the bed frame if possible for bedbugs. Use a small flashlight to help you get a look at darker, smaller corners. Once you get back from your vacation, it’s a smart idea to vacuum out your suitcases and wash the clothes you took with you as soon as you can. You can and should, of course, follow these same tips when it comes to protecting your home. If you’re furniture shopping, especially at a secondhand store, make sure you thoroughly inspect it for bedbugs before you decide to bring it home. You can also invest in a mattress cover protector that helps prevent bedbugs from damaging your mattress. The truth is that rapid response to a current infestation and frequent personal and professional inspections are the most effective ways to keep bedbugs at bay. In the vast majority of cases, bedbugs spread from person-to-person contact. For example, if someone who has bedbugs in their own home visits you at yours, and relaxes on your couch for a few hours? Chances are, they may spread the bedbugs to your home. Remember that bedbugs, unlike other household pests, don’t have wings and therefore can’t fly. However, they can crawl and jump with ease. Be aware that signs of a bedbug bite often don’t actually appear until one to two days after the initial bite. This means that, by the time you develop a reaction to a bedbug bite, chances are good that they’ve actually been in your home for a while. Another common misconception about bedbugs is that they live only on sheets and mattresses. The unfortunate truth is that they can live in many other places on your property or in your personal items. Bedbugs can also set up shop in your clothing, on your furniture, and in the box springs of your bed. They can even make a home in carpeting and rugs. You should also look behind your headboard. If you’re travelling, you especially need to be on the lookout for bedbugs. They can easily get into your luggage, and end up coming home with you, infesting not your just hotel room, but your house. You can pick them up on public transportation, in a clothing store, and even from a friend’s home. Because they’re so small and flat, they can sneak into tiny crevices and cracks with ease. They also reproduce quickly and in large numbers. In fact, they can lay up to 5 eggs a day, and even 500 in a lifetime. This in particular is a huge part of why bedbug infestations can get out of control so quickly. Now, let’s talk about what you can do to get a handle on the problem. There is all kinds of misinformation out there about how to get rid of bedbugs. Unfortunately, the reality is that just tossing your sheets in the dryer and then immediately putting them back on the bed isn’t going to solve the problem. In some cases, taking the DIY route can actually end up causing even more damage to your furniture and bedding. The best thing you can do for yourself — and your personal belongings — is to get professional bedbug control and extermination services. There are options available for every budget and level of infestation, so don’t let a fear of unaffordability prevent you from taking the necessary steps. To keep your cost as low as you can — both when it comes to the treatment and replacing damaged or infested items — you need to get in touch with pest control services as soon as you notice there’s a problem. First, the experts will asses and inspect your home, using specialized equipment when necessary to take a look at common places where bedbugs are found. Then, you’ll discuss a potential treatment plan, which will vary depending on the severity of the infestation. The actual treatment process is done with your safety in mind, meaning that the only things at risk are the bedbugs themselves. In many cases, it’s even possible to avoid fumigation — especially if the infestation is caught early on. Afterwards, a professional will talk with you about your options for maintenance treatment. They’ll also advise you on what you can do and the products you can invest in to prevent the bedbugs from coming back whenever possible. One of the most common questions we get asked when helping people to manage their bedbug problems is whether they’ll be forced to throw out all of their furniture after the treatment has been completed. In most cases, you won’t have to part with your furniture. This is a huge part of why finding qualified expert bedbug removal services is so important. The right treatments, whether heat or fumigation, can ensure that even upholstered furniture is completely safe. These treatments likely won’t harm the furniture, either. Many people do decide to throw out and replace their sheets and mattresses after a bedbug infestation. This is often because they simply don’t feel comfortable sleeping on it anymore, or because they’re worried about a future infestation. If you choose to get rid of your mattress, study up on the proper disposal techniques. 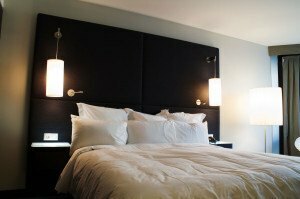 Your city may also have specific rules and regulations about proper mattress disposal. You’ll likely need to cover the mattress in a tight plastic wrap to prevent the bedbugs from spreading to anyone else. You may face fines for not disposing of your mattress in the proper way. So, make sure you’re following the rules to the letter. You don’t want bedbugs to be responsible for making you pay yet another bill! Do You Need Bedbug Removal Services? The most important thing to remember is to act as quickly as you can when you first spot or suspect bedbugs in your home or commercial property. The damage bedbugs can cause, especially if the issue is left untreated for a long time, can be an enormous financial strain. The good news, however, is that treatments and solutions don’t have to be. We can help to confirm whether or not you have bedbugs, and provide you with a safe and effective treatment plan to get rid of them once and for all. In addition to bedbug extermination, we also offer a variety of other pest control solutions. These include things like rodent extermination, termite treatment, fleas and tick extermination, and much more. Reach out to us today to get your free estimate, and sleep tight without letting the bedbugs bite. We do such a good job the first time that we come out to conduct pest treatments that our clients love us. Read our reviews! Years of experience have given us first-hand knowledge as to what to look for and how to get rid of pests once we find them. When we say “We aren’t happy unless you’re happy,” we actually mean it! In order to determine the extent of the problem, our technicians will conduct a thorough inspection of your home or business. When necessary, specialized equipment is used to assist our technicians. Once the inspection has been completed, it is time to come up with a treatment plan. Together, we’ll decide whether your infestation requires chemical treatments solutions that offer an element of eco-friendliness. We conduct all chemical treatments safely, eliminating any risk to the occupants of the building, except for the bed bugs! Ideally, we’ll be able to avoid fumigation, unless the problem is so severe such measures are warranted. Keeping nasty bed bugs out of your home is so much simpler once we explain the measures you should take. It’s not actually about what’s in the house, but more so it’s about the stuff you bring into your home. With our tips, you’ll be able to help keep bed bugs from getting in, while also learning the signs to watch out for if you suspect an invasion.